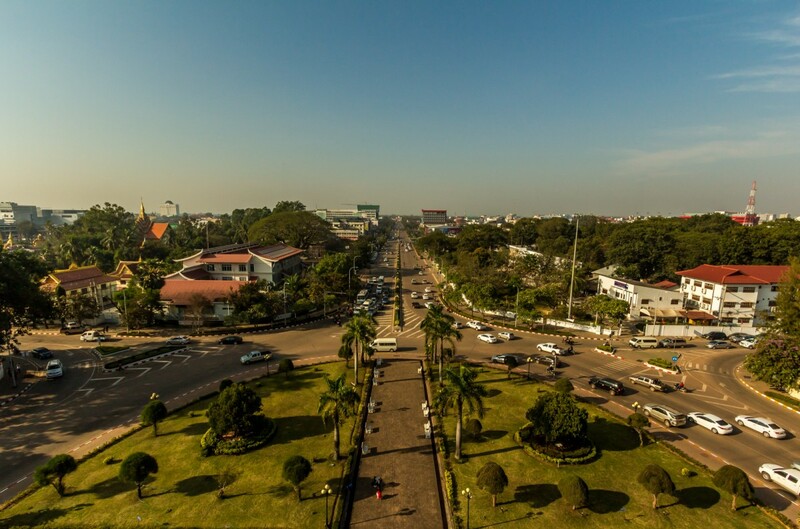 Vientiane, the capitol of Laos, is not a big city. There’s not a lot to see or do either. Making matters worse, the hotel situation is bad. The cheapest private rooms start at around $20. While not expensive for folks visiting for a couple weeks while on vacation from their job, that is out of the budget of a long-term traveler like me. I was forced to stay in a dormitory. Vientiane is small, but very spread out. There is a cluster of hostels near the river, and I was able to walk to some restaurants and cafes nearby. But in order to see the few sights, travelers must deal with tuk tuk drivers, or have their own wheels. Thankfully I had my own motorbike. But for how much longer would I have my own motorbike? While riding into town a random falang offered to buy my bike on the spot for $500. A very tempting offer. But I still wanted to ride “The Loop” and visit the 4,000 Islands in the South. There are only a couple sights, and you can see them in a day. I rode to the Independence Monument, which looks impressive from afar, but like a big mass of concrete from up close. It’s possible to climb to the top. 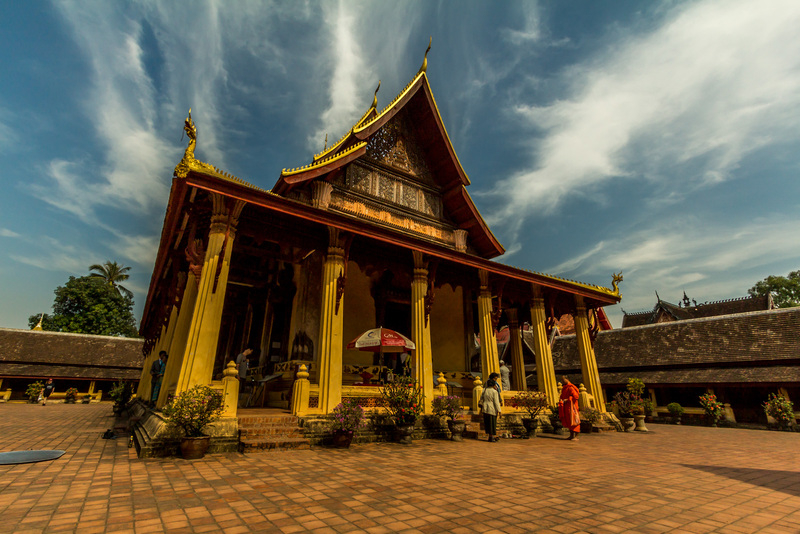 The biggest attraction is the Pha That Luang temple. Its distinctive golden structure is famous throughout the country and is considered to be the national symbol. When I arrived there were already quite a few tour groups walking around it. Slowly walking around Pha That Luang and taking many pictures took less than an hour, so I proceeded to the other famous temple in town, Wat Si Saket. 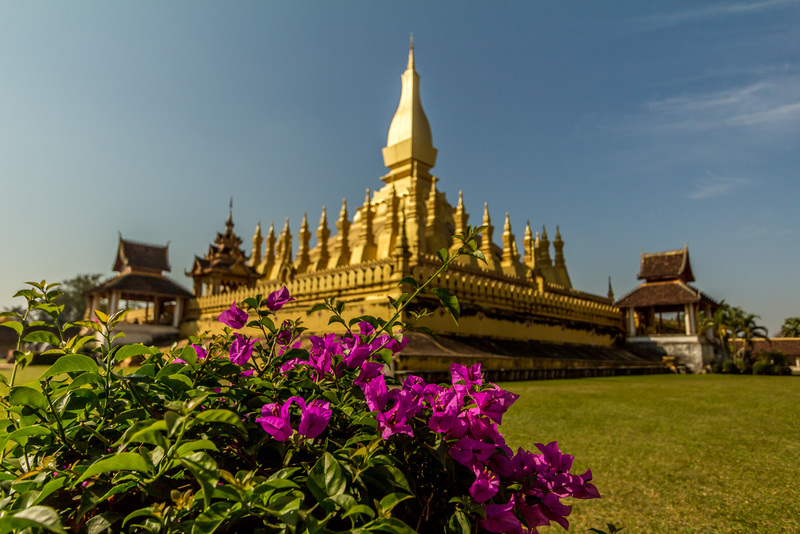 This temple looks a little different, because it was built in Siamese style, rather than Laos style. That was about it for sights in the city center. 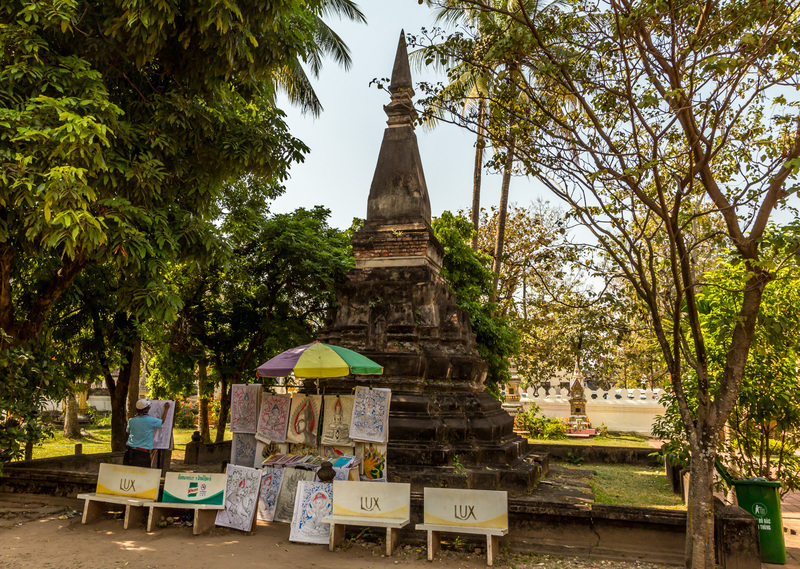 The other big attraction is the “Buddha Park,” but it is outside of town. Getting there requires booking a tour, or negotiating with tuk tuk drivers. Once again I was happy I could just hop on my motorbike and drive there. 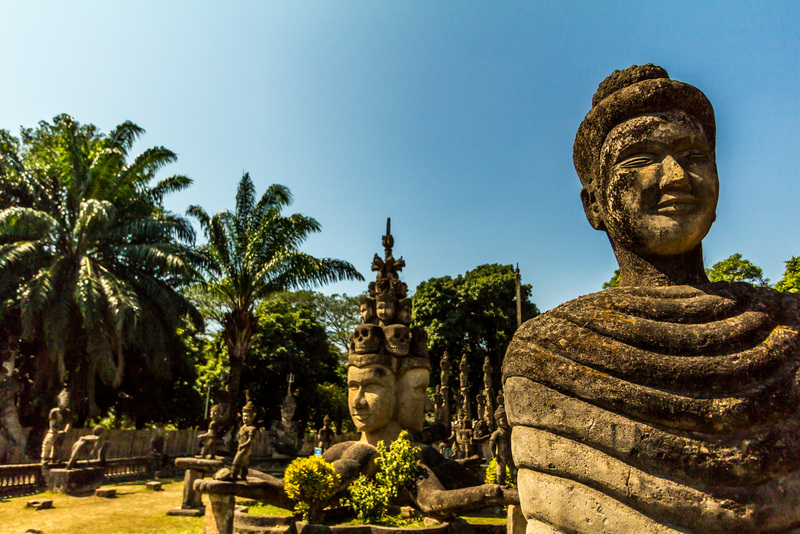 The Buddha Park was the project of an artist, who created many fantastical statues of Buddhist and Hindu deities out of concrete. The park was surprisingly small, but packed with statues. 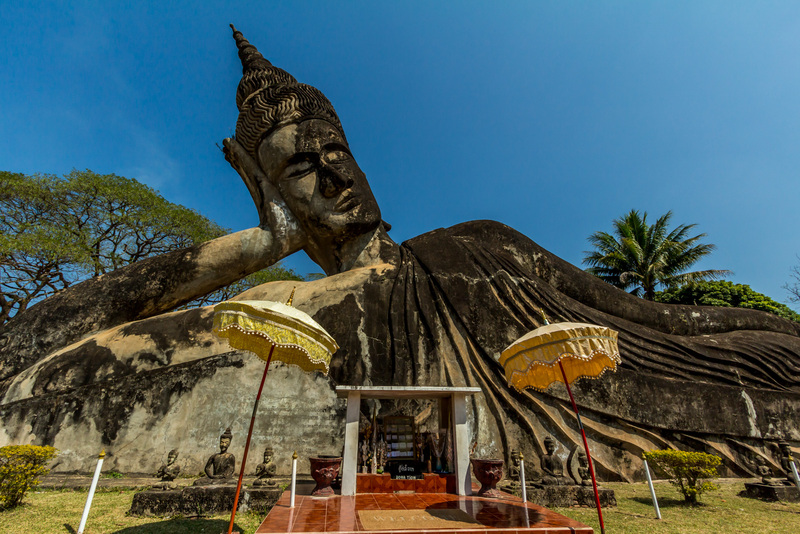 The most striking was the giant reclining Buddha, and a three story pumpkin that you can go inside and climb to the top of. 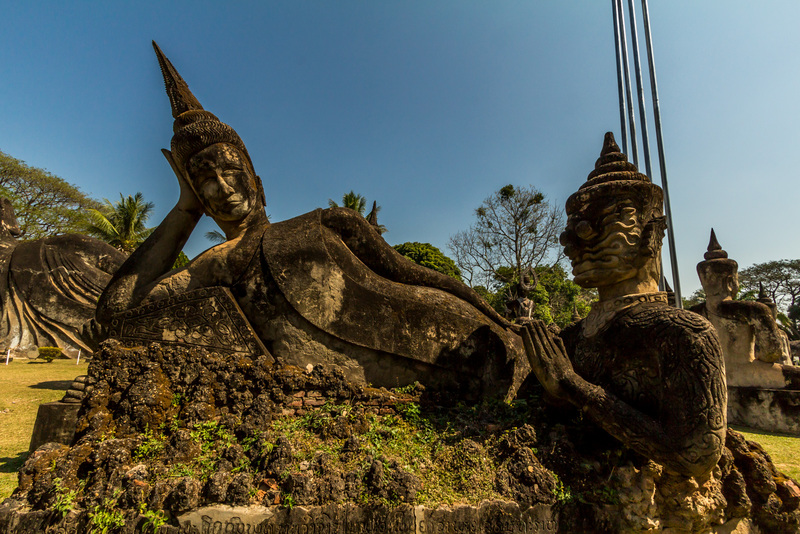 Buddha Park was certainly worth a wonder, but I arrived to late in the day. The sun was too bright, and there were many other tourists, limiting the photographic opportunities. 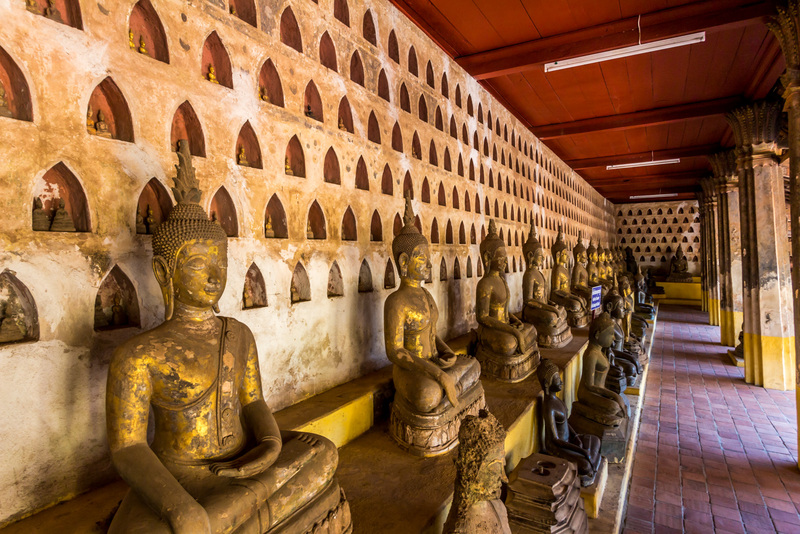 The Buddhas of Wat Si Saket. 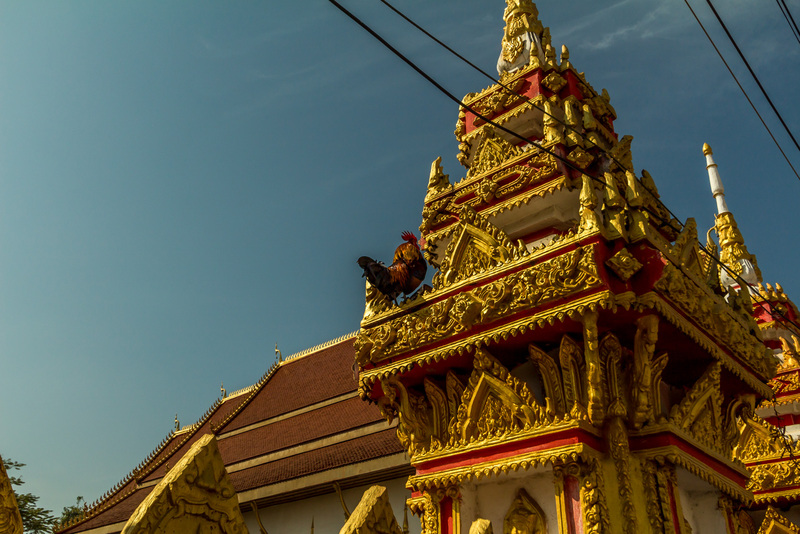 I hate to be negative on a travel blog like this, but I can’t say I enjoyed Vientiane. Part of the problem was that I had been on the road too long already, and was not inclined to see it in a favorable light. I was looking forward to ending my journey and staying in one place for a long time. That place would not be Vientiane. I normally enjoy living in different country’s capitol cities. 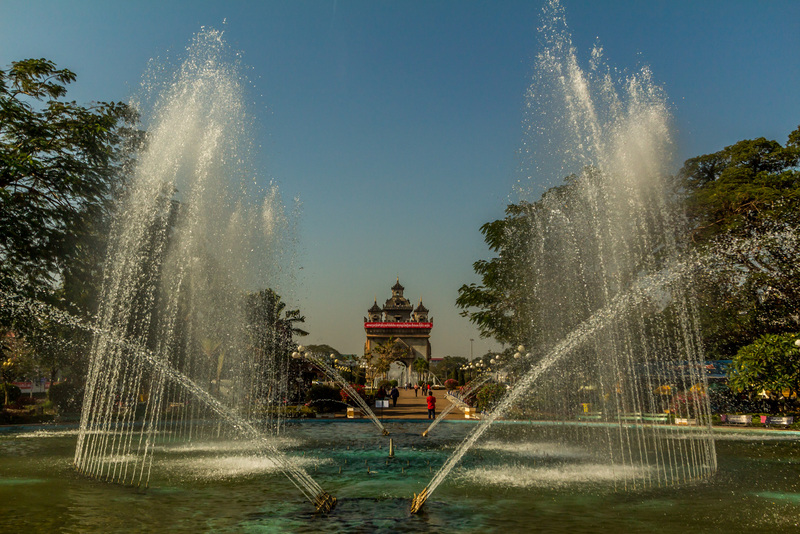 But Vientiane didn’t seem like a city worth sticking around in. I just wanted to get out after seeing its few sights. A painter outside of Wat Si Saket. 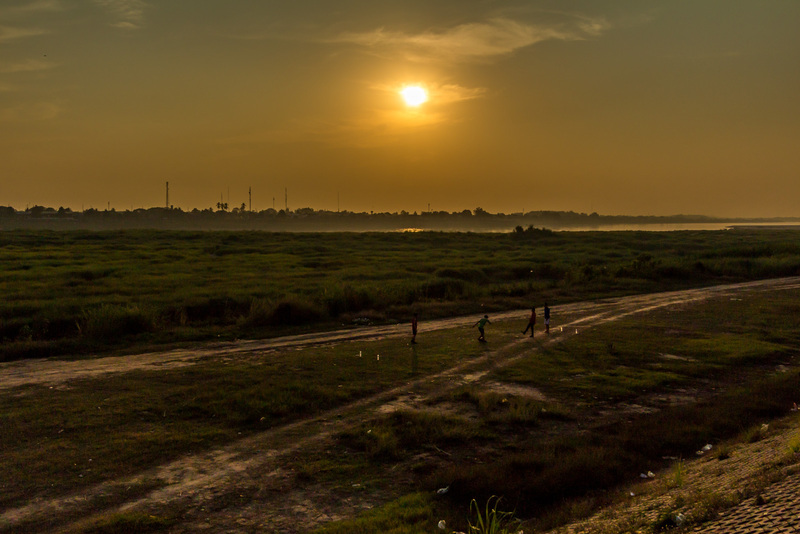 The sun sets over Thailand, across the Mekong. 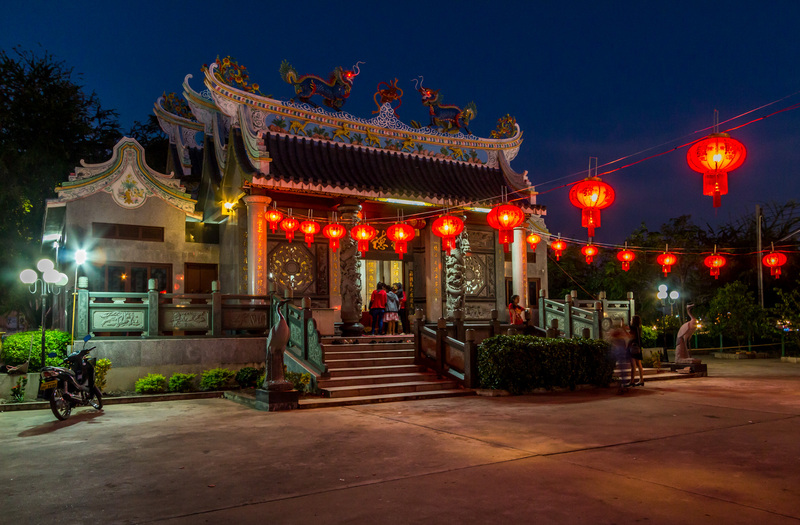 Lunar new years wasn’t long ago, and the Chinese temple still had lanterns up. The statues are only a few decades old, and made of concrete.